The Ultimate Spider-Man Playland Set Just $11.51! Down From $35! PLUS FREE Shipping! You are here: Home / Great Deals / Amazon Deals / The Ultimate Spider-Man Playland Set Just $11.51! Down From $35! PLUS FREE Shipping! Calling all Amazon Prime Members! The Ultimate Spider-Man Playland Set is now on sale at Amazon for just $11.51 down from $34.99 PLUS FREE shipping! 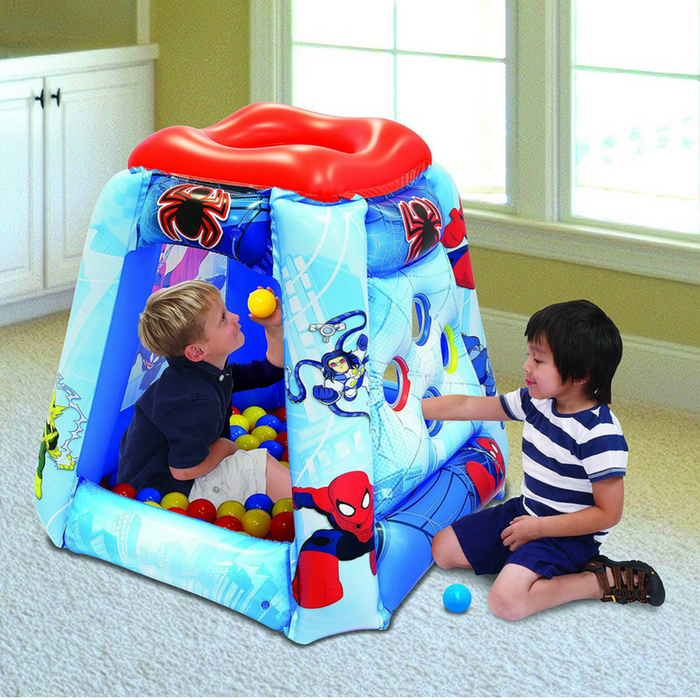 Join The Ultimate Spider-Man in his Spidey Power Inflatable Playland! Your kids will have hours of fun with the peek-through windows and awesome ball toss roof. This awesome inflatable environment playland includes 15 soft-flex balls. I’m sure your kids will enjoy!